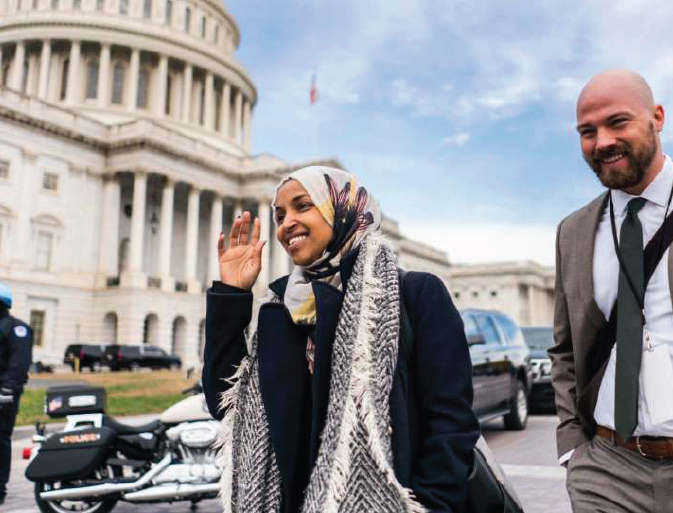 As they prepare to welcome two newly-elected Muslim women into the 116th Congress, Democrats have proposed a clarification to a 181-year-old rule banning representatives from wearing hats on the House floor. If approved, the new rules would allow lawmakers to wear religious headwear, like hijabs and kippahs, once Democrats take control of the chamber in January. Representative-elect Ilhan Omar, one of the first two Muslim women to serve in Congress, wears a headscarf. She was born in Somalia and came to the United States as a refugee. The current rules, which were implemented in 1837, decree that “every member shall remain uncovered during the sessions of the House.” Those rules could be interpreted to disallow Omar from using the head covering she wears as part of her faith. The rule change comes as part of Democrats’ broader promise to “restore inclusion and diversity” in the House. Alongside the clarification on head coverings, Democrats have also proposed to change House rules to explicitly ban LGBTQ+ discrimination and to create an independent office to promote diversity among House staff hires.